Our practice guide serves as a guide for our students on what and how to practice. The images are below and there is also a downloadable file on the bottom of this page. 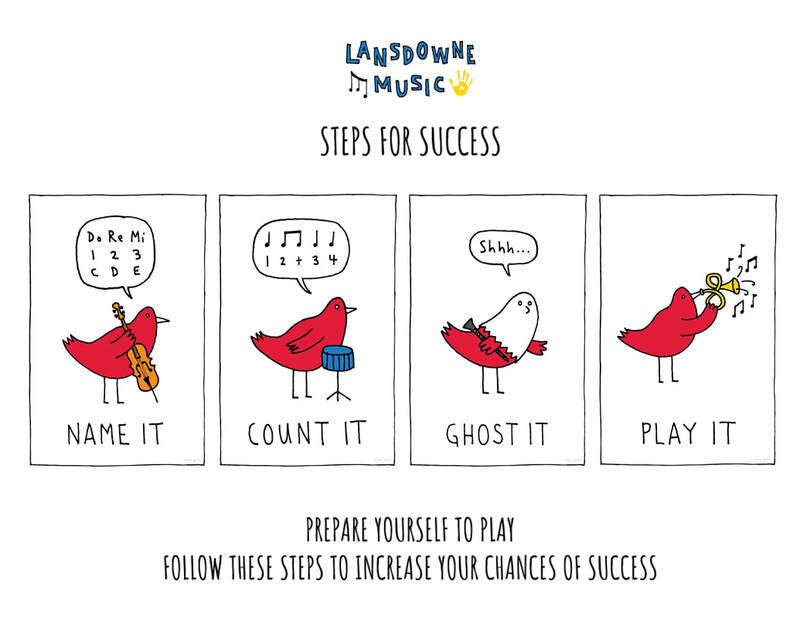 Physical copies are also available from the music teachers. 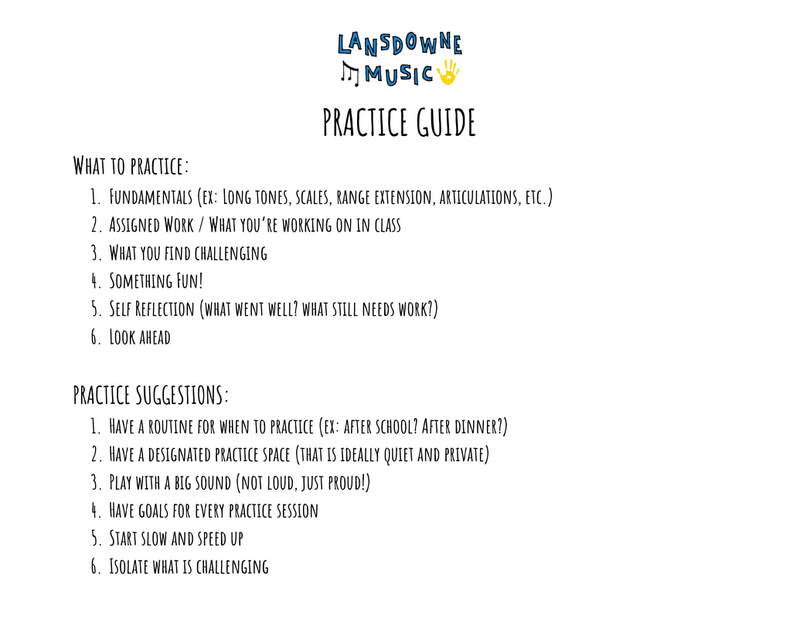 The second page - "Practice Guide" - lays out what students should actually be practicing at home, as well as some suggestions for practicing.